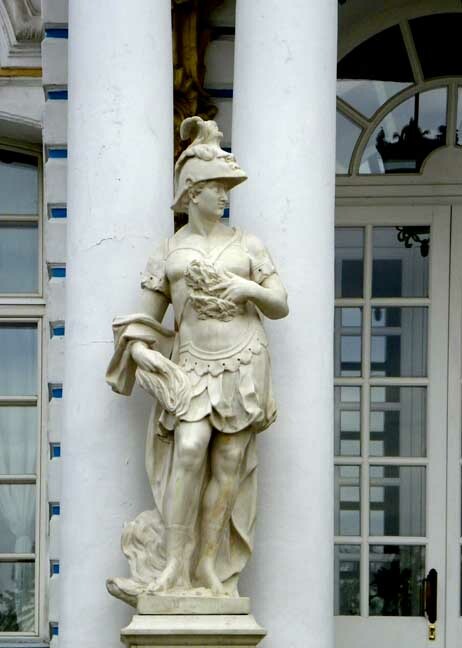 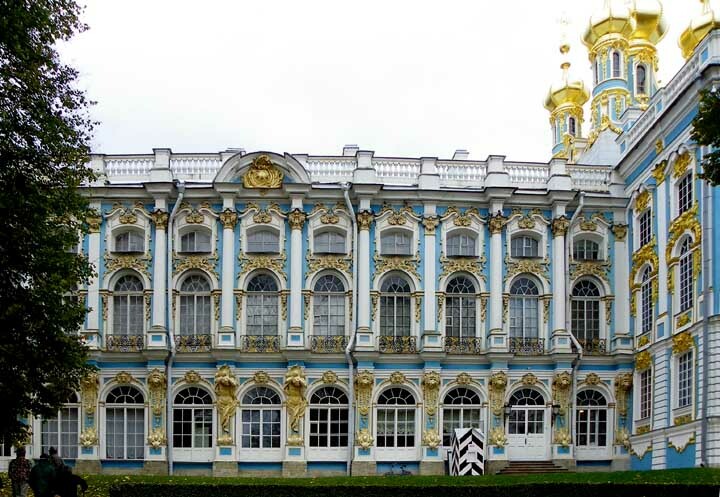 The resultant palace, completed in 1756, is nearly 1km in circumference, with elaborately decorated blue-and-white facades featuring gilded atlantes, caryatids and pilasters designed by German sculptor Johann Franz Dunker, who also worked with Rastrelli on the palace's original interiors. 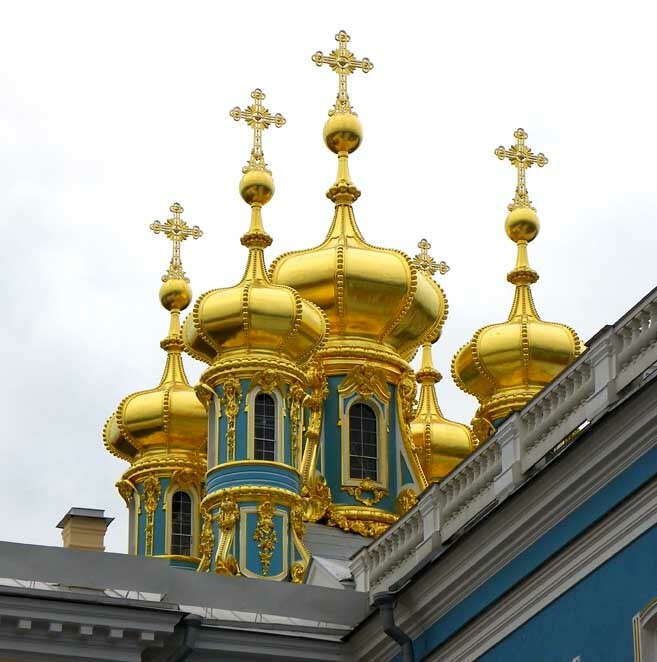 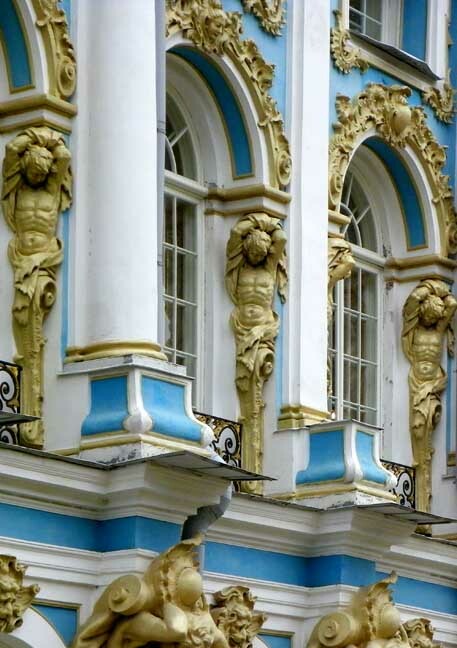 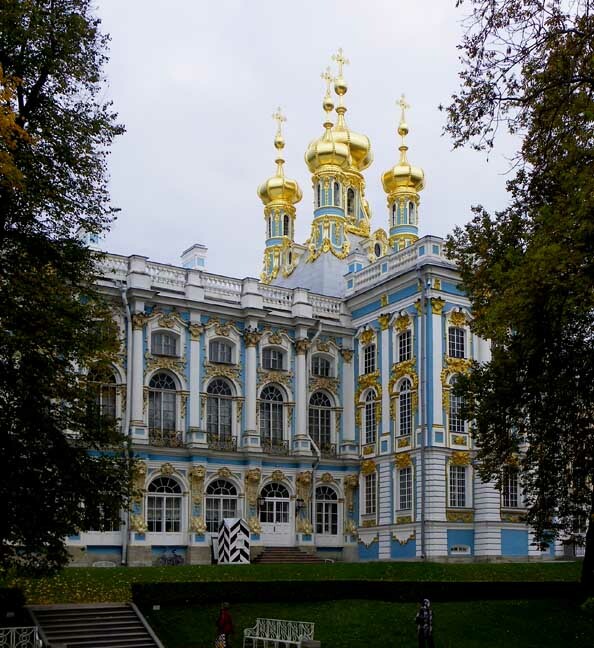 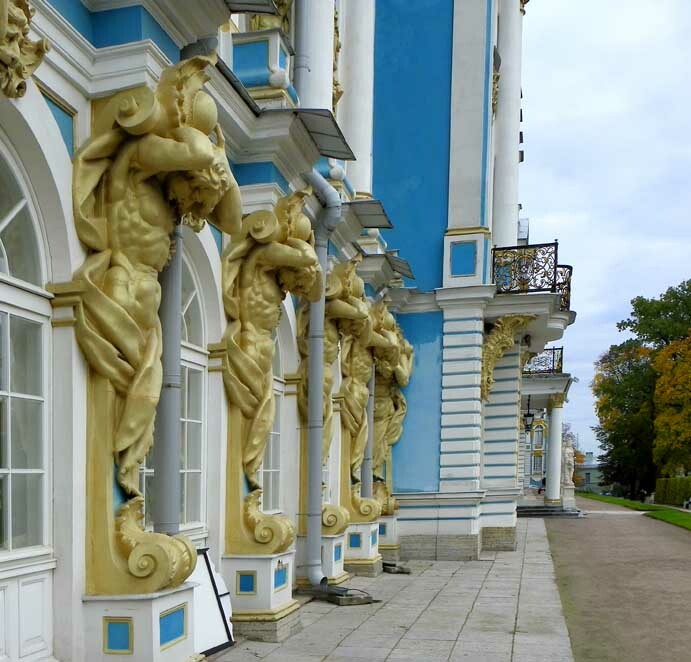 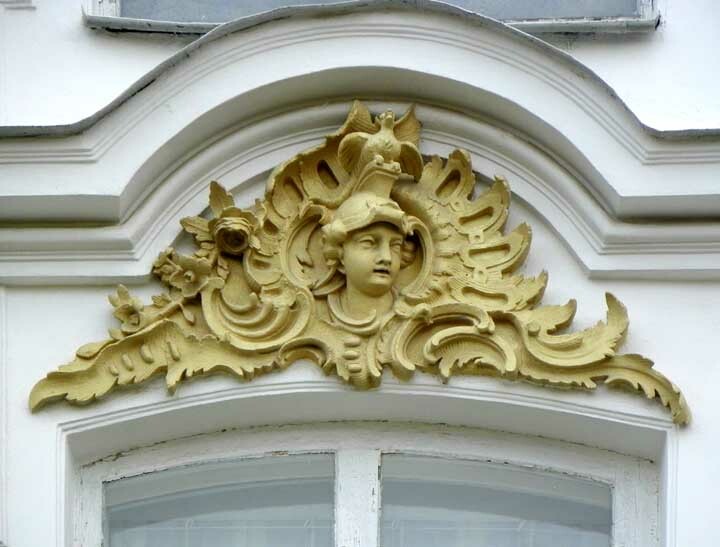 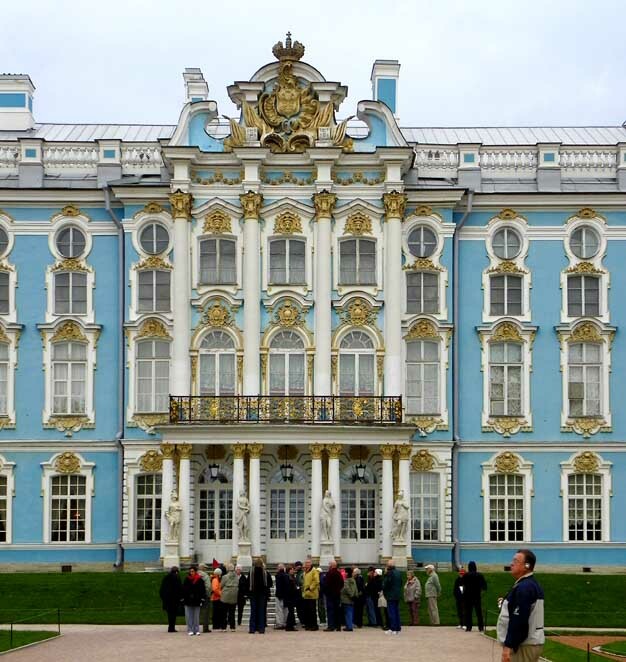 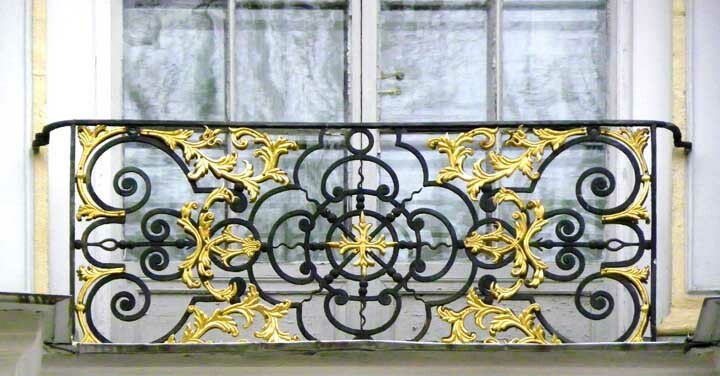 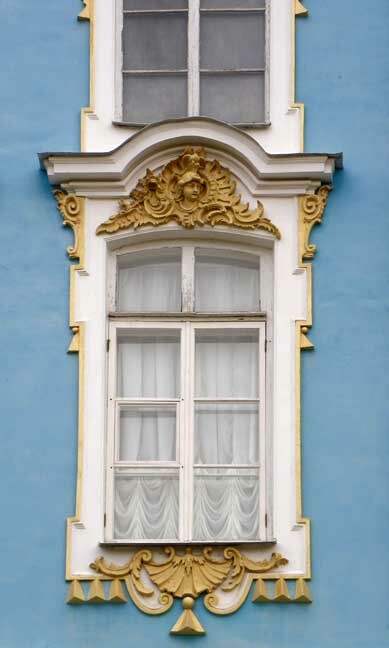 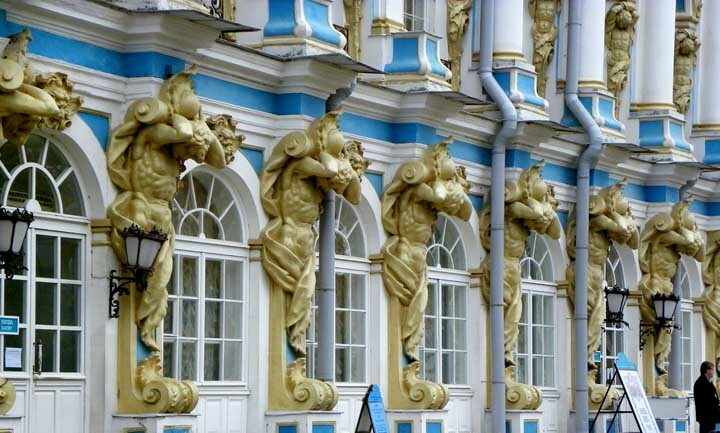 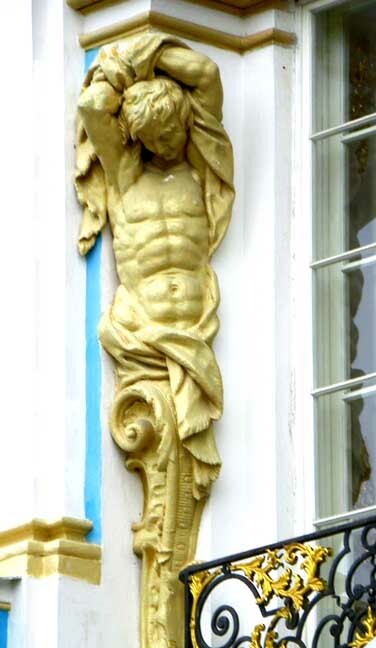 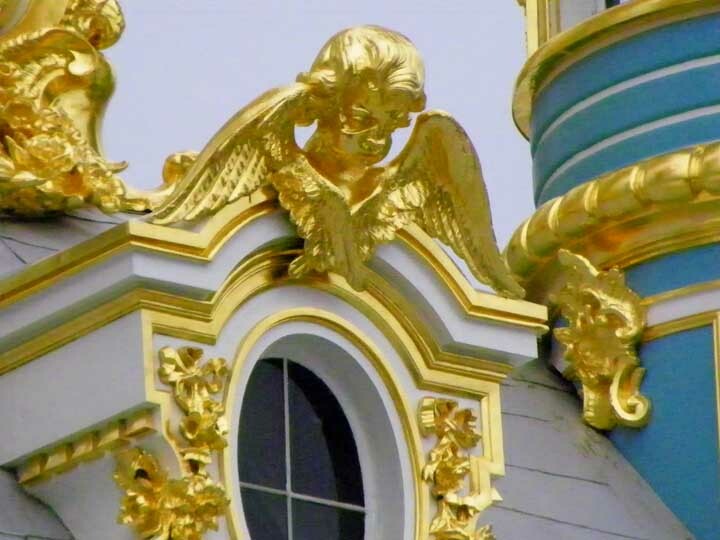 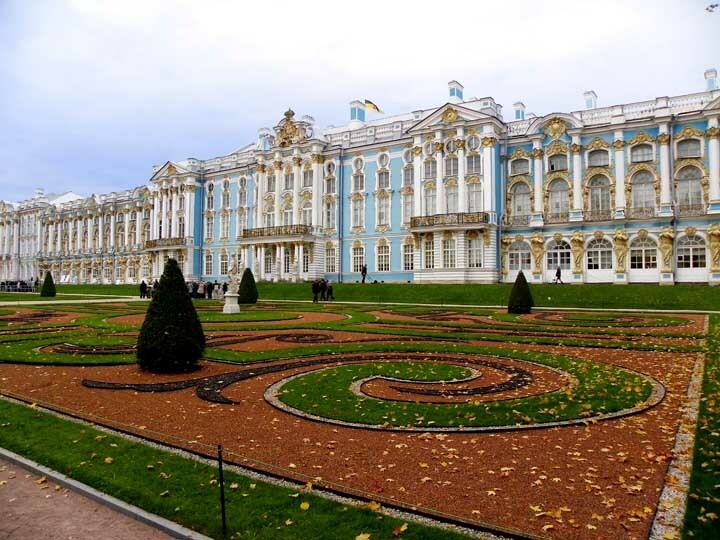 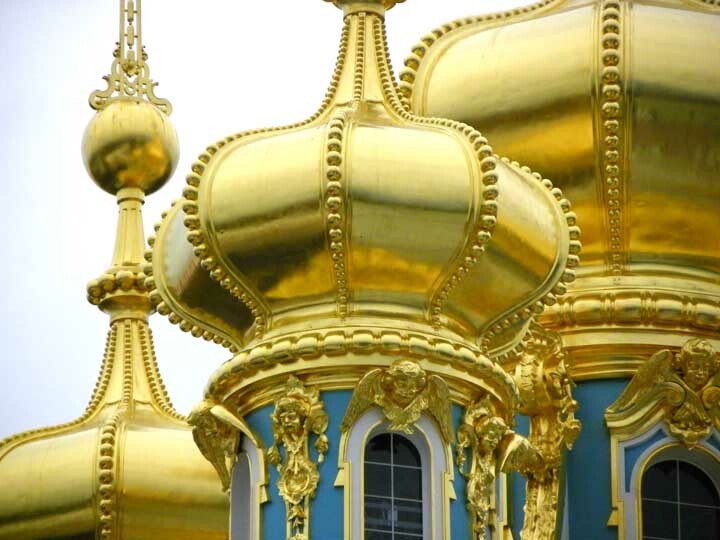 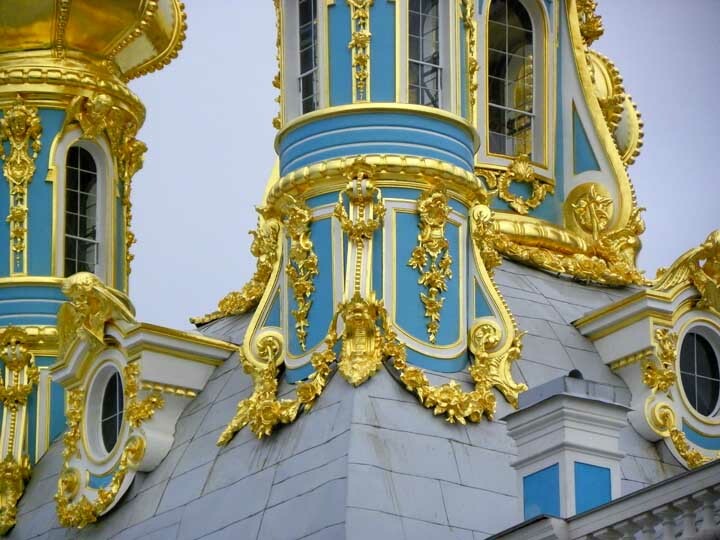 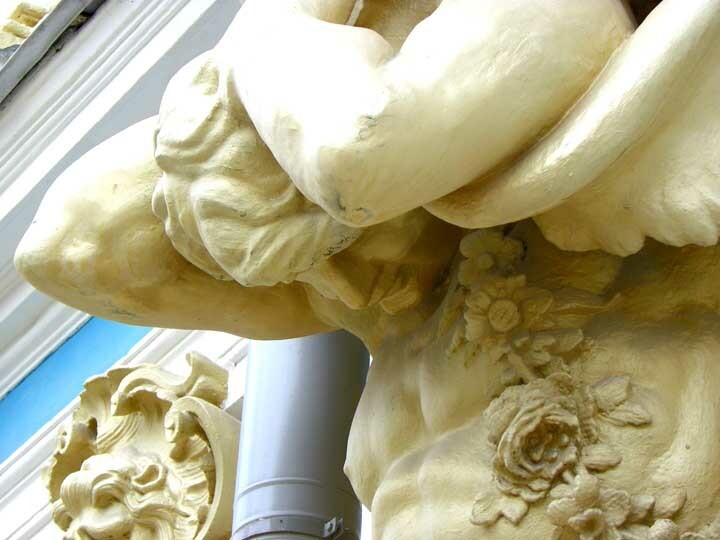 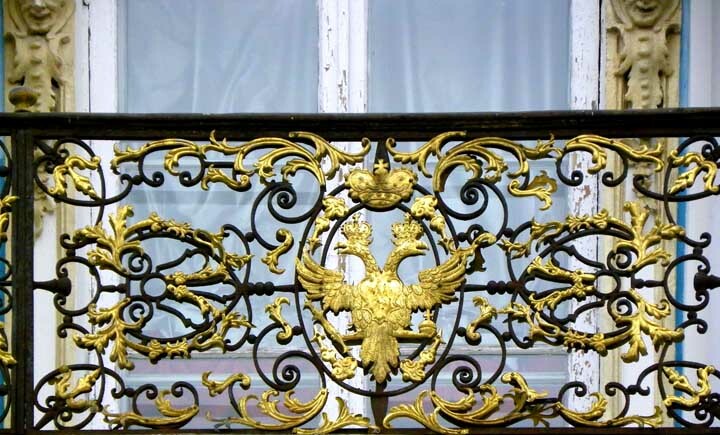 In Elizabeth's reign it took over 100kg of gold to decorate the palace exteriors, an excess that was deplored by Catherine the Great when she discovered the state and private funds that had been lavished on the building. 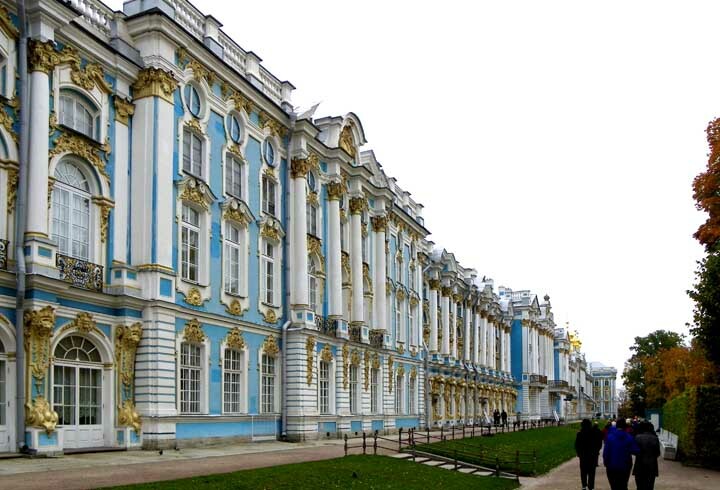 In order to gratify her passion for antique and Neoclassical art, Catherine the Great employed the Scottish architect Charles Cameron who not only refurbished the interior of one wing in the Neo-Palladian style then in vogue.